When Bernadette Bohan was diagnosed with cancer for a second time, she took Hippocrates’ advice on board. She embraced a plant-based, raw food diet and soon noticed real results: her health improved greatly, her skin glowed, her energy exploded and her waist shrank. Bernadette has since become an advocate for this way of life, helping thousands of people get back to better health. 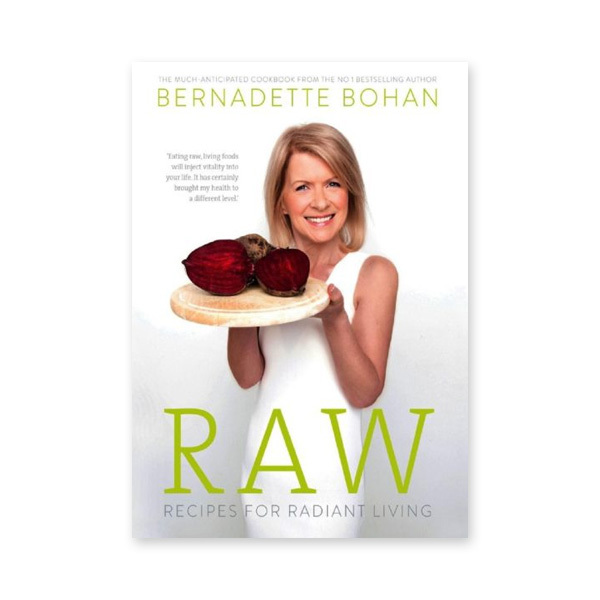 Now, for the first time, she shares her secrets in her much-anticipated cookbook. Give your body the food it was meant to eat with these delicious, nourishing recipes. Choose from immune-boosting juices, nurturing soups, alternative comfort dishes and yummy treats that everyone will love. These recipes are perfect for anyone with an appetite for health.